Jay is new in town, young and successful, and not afraid to plop down in a pew to scopeå out the females. What he finds is a lovely-yet-unusual missionary named Allie, who has a warped sense of humor and a wicked throwing arm. She and a zany assortment of friends turn Jay’s perceptions of life upside down, launching events that leave him and those around him thoroughly Flabbergasted. By the way, when relational gumbo is on the menu, a South Carolina beach makes for great mood lighting. Kyle Mango likes Texas Tech, his oil wells, and an environmental lover named Gretchen. When pursuit of woman collides with pursuit of profit, the fireworks propel these youngsters far away from the Lone Star State. Will their boots eventually point in the same direction? 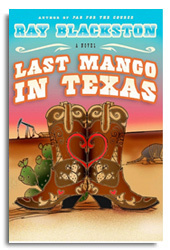 Find out in Ray's comic and quirky new novel, Last Mango in Texas! Would you travel thousands of miles just to get a date? Jay's buddy Neil is tempted. After leaving his South American language school for a furlough in South Carolina, he steps off the plane to find just what he'd been warned of--Southern girls traveling at blazing speeds through the intersection of Faith and Impatience. 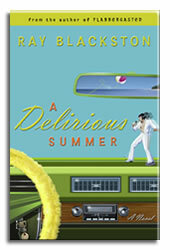 Featuring some of the unpredictable females from Flabbergasted such as Darcy, Allie, and Crazy Alexis, A Delirious Summer is the much-anticipated second novel from author Ray Blackston. Australia + Woman + Ring = ? Jay Jarvis is pondering commitment. But his math is getting complicated. 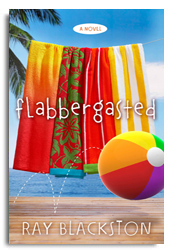 Can he survive a trip from the beach to the Outback with his cluster of crazy friends? 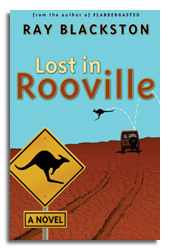 Or will the allure of a wild roo-chase spoil his perfectly-calculated plans? Ray Blackston's back with more side-splitting humor, unconventional characters, and electrifying dialogue. A comic look at legalism. Golf and romance collide as golf-range owner Chris Hackett meets an attractive political correspondent who turns his world upside down. 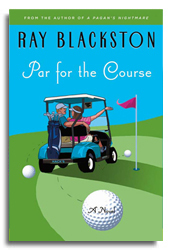 Set in Charleston, SC, Par for the Course offers something as rare as a hole-in-one: a relational golf novel! Life's biggest trials take place far away from a courtroom. Just ask Alex and Karen -- they're 30, married, and the terrorized targets of a foreclosure victim. But who is really behind the attacks? 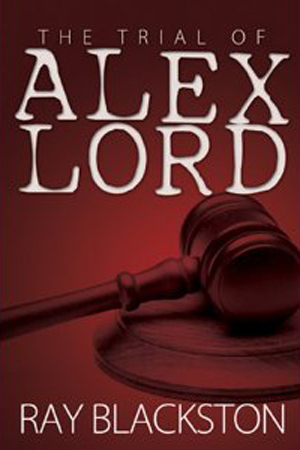 The Trial of Alex Lord releases nationwide, May 2011. 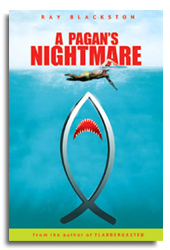 All three of Ray's novels are available in Christian and mainstream bookstores. The author encourages the support of local bookstores such as Cross Way, and The Open Book. For those who wish to purchase a signed copy of one or more of my novels, I have a stash for just that purpose. Hardcovers are $15 each. Trade paperbacks are $10 each. Email me through this website if interested.